At Christian Life, we view a student’s high school years as vital and critical to their overall development and transition into higher education. We do not take this responsibility lightly, but make it our personal mission to see that every Christian Life High School student is equipped and prepared to face life after high school in a physical, emotional, educational and spiritual sense. Throughout the years, our graduates have continued their education at colleges and universities of distinction. Christian Life’s approach to the development of the overall person gives each student a competitive edge when it comes to his or her post-high school education. With above average Stanford scores and competitive ACT scores, our students enroll with ease in major colleges and universities around the country. 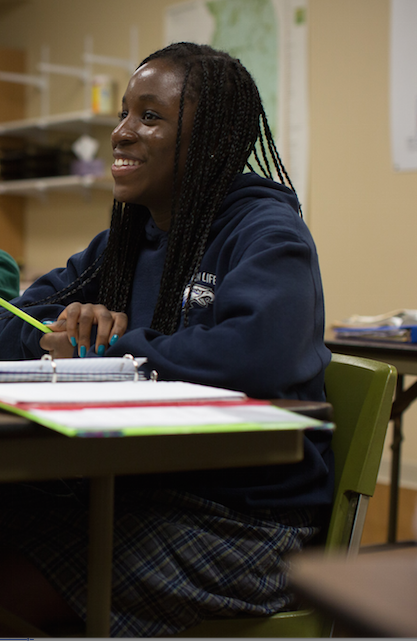 Learn more about Christian Life's college prep options. As a ministry of City First, Christian Life Schools partners with our campus pastor, Sonny Savitski and numerous City First interns, to provide a weekly chapel experience for students each Friday. Each chapel session consists of a live worship band and message to encourage, guide and challenge students spiritually. Once a year, Christian Life High School students attend spiritual emphasis week. During this week, a guest speaker is brought in to focus and challenge our students to strive for excellence in their walk with Christ. In a society where even the strongest and most secure child or teenager can experience the pressures of negative influences, Christian Life provides a place of security, constancy, and spiritual relevance. High School students are also afforded the opportunity to attend a two-day, one-night retreat held once a year at the Lake Geneva Conference Center in Lake Geneva, WI. During the High School retreat, students participate in activities designed to cultivate leadership and team building qualities, and attend services with a live worship band and special speaker.